Harare - It was always predictable - and forthcoming at one stage or the other, no matter how uninformed the media response, as long as they had presented something, it seems. And a day after a flurry of womanising accusations poured on Jah Signal, denting his fame and ego, his media team, if it exits, elected to deny the rumours by accusing the estranged girlfriend, calling her all sorts of names. 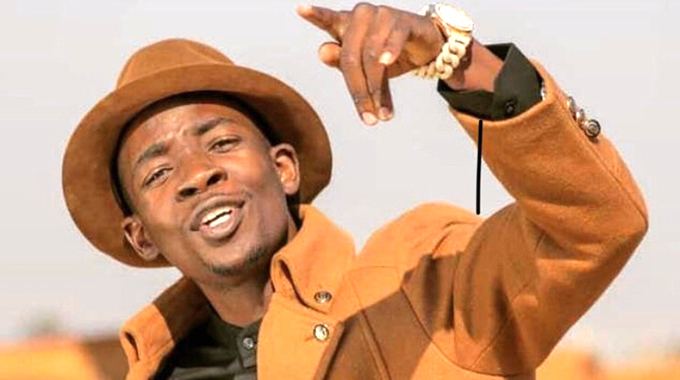 Now the Zim Dancehall musician has accused his ex, saying she wanted to initiate a central locking system so that he would render him se.xually inactive to other partners. The evil way is normally used to curb extra-marital affairs in marriages using juju. if one is caught, it might result in partners being locked after a se.xual encounter. "I hate that woman with a passion because of all the frustrations she has made me go through. She was older than me so she had her own insecurities. "As a result of that, I ended up being a victim as she forced me to consume various love potions that she would give me so that I don’t leave her for other women. "Her plan was to make me relocate to South Africa, where she is based, but I couldn’t do that because I have a very big family here which I am looking after. "When she realised that I wasn’t interested in relocating to South Africa, she then started to pester me saying she wanted to get me centrally locked so that I won’t be able to sleep with other women," revealed the chanter, adding that he doubted that the child sired was actually his. The award-winning dancehall artiste - real name Nicodemus Mutize is an apostolic sect member of the Mwenje Weruponeso Apostolic Church. "At first, I thought she wasn’t serious so I wanted to see if she really meant it which prompted me to agree to what she was saying and she took me to a sangoma in Mufakose. "When we got there, the sangoma asked me if I had made up my mind to get centrally locked and I refused. From there, we started having problems and I decided to leave her." Jah Signal also doubts he is the biological father to the son sired during their marriage. "I don’t believe that I am the father of the child that she claims to be mine because the time when the child was born and when I last slept with her does not tally. “I am ready to go for paternity tests with her so that we come to a conclusion on the matter."